Here’s something truly magnificent, and drool-worthy to be cooking up for this Chinese New Year! Very few things can beat abalone during this festive season, and braised pork belly is nothing short of perfect to go with this. Many of the best ingredients are in this dish, perfect for you Chinese New Year dinner. The original would at least have at least 20 or even 30 ingredients and takes 2 to 3 days to prepare even. We have came out with our own simplified version that you can make in just under 3 hours. 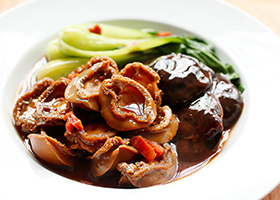 Abalone – one of the many “must haves” delicacies during the Chinese Lunar New Year. Preparing canned abalone requires really minimal effort and is a convenient way to enjoy its succulent chewy texture. One simple way to tenderize these exotic molluscs is to simmer the cans into water. Make this sumptuous and delicious dish at the comfort of your own home! 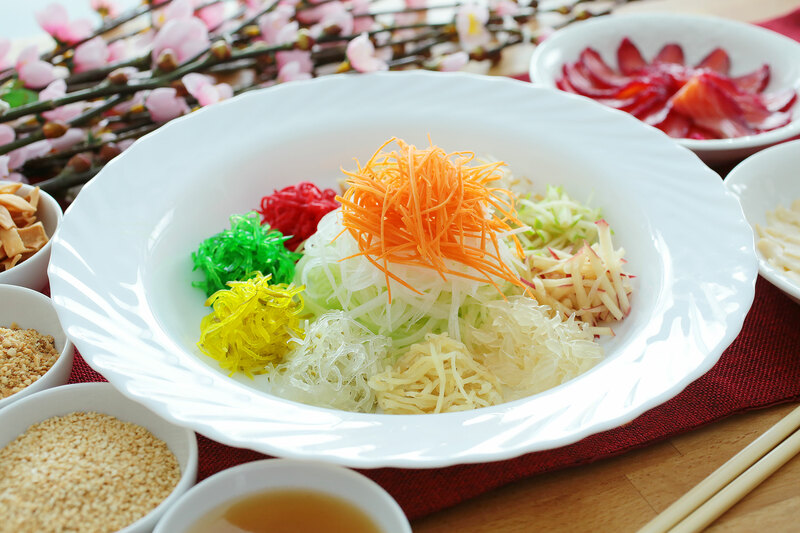 Yusheng is an unique Chinese New Year dish that is very Malaysian and Singaporean. It’s a must-have dish to be served, heralding the arrival of Chinese New Year. Each component of the dish has an auspicious meaning. Tossing it high up, joyously shouting auspicious words is such a celebration! In the hustle and bustle of Chinese New Year, a quick and simple but extravagant dish is a must. 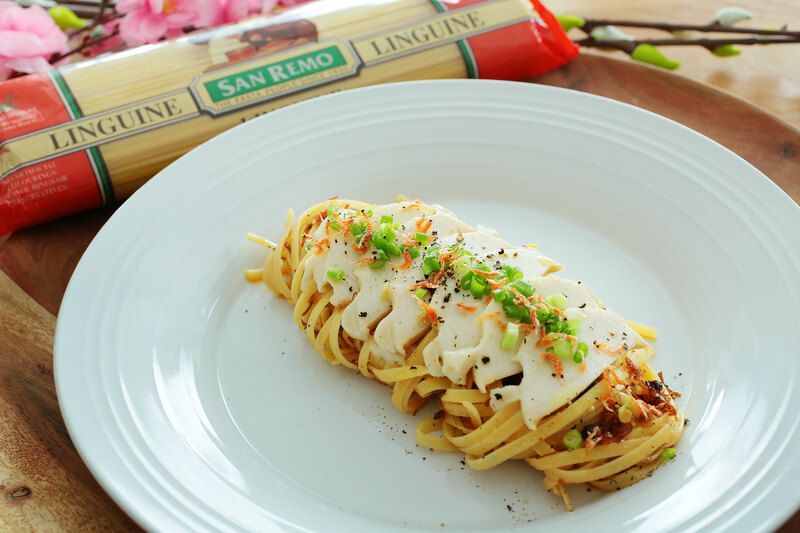 San Remo’s Linguine with Abalone and XO sauce is the perfect meal. It never fails to impress your love ones and guests. 6 ingredients to make a meal to wow everyone. San Remo’s pasta is perfect to withstand and compliment the strong yet umami taste of the XO sauce, the abalone brings the dish together. Finishing off with spring onions and Sakura Ebi. BRAND’S® Essence of Chicken Original boosts the nutritional level of this tasty yet healthy dish. 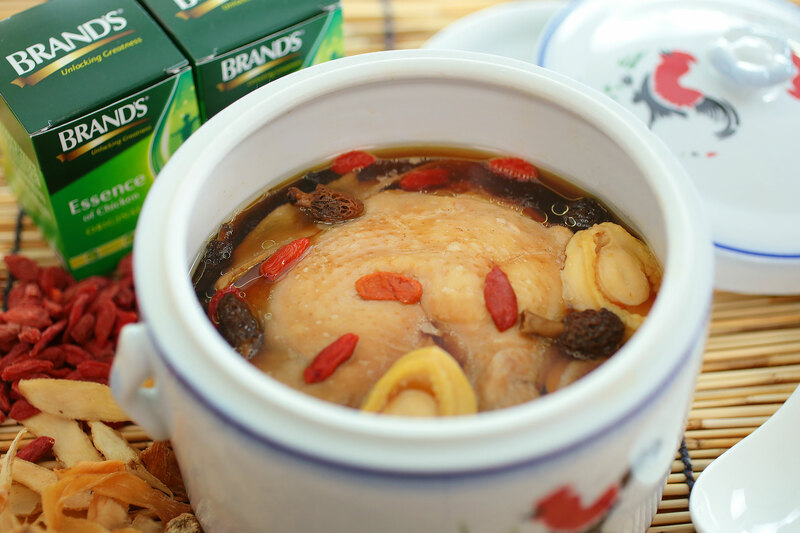 A simple and elegant double boiled soup is best presented over a Chinese New Year meal or any festive occasions. Next up on our CNY recipes is another awesome dish that’s oh-so-easy to make! 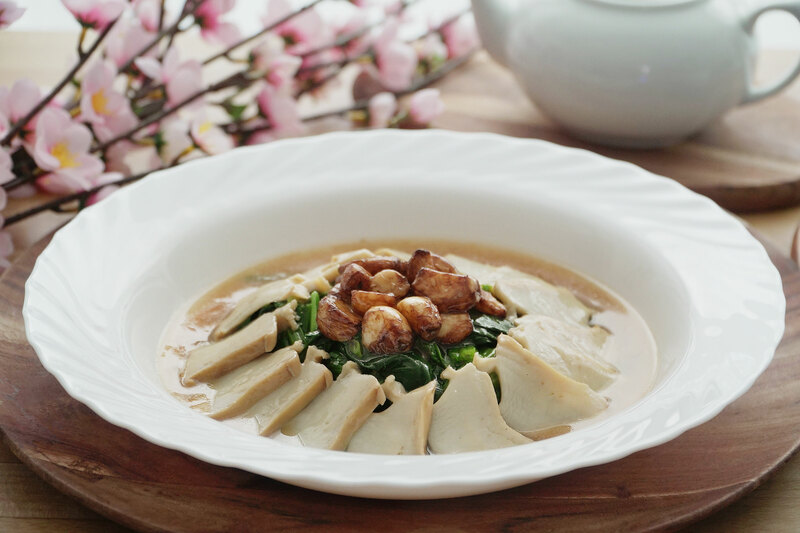 Braised tofu with dried scallops go extremely well with abalone sauce – it’s healthy, tasty, and something to indulge in during your reunion dinners. 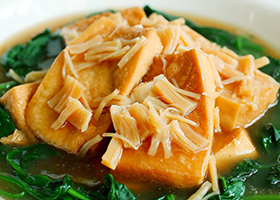 We chose to use Vitasoy Organic Sprouted Pressed Tofu for that creamier taste that pairs very well in this dish.